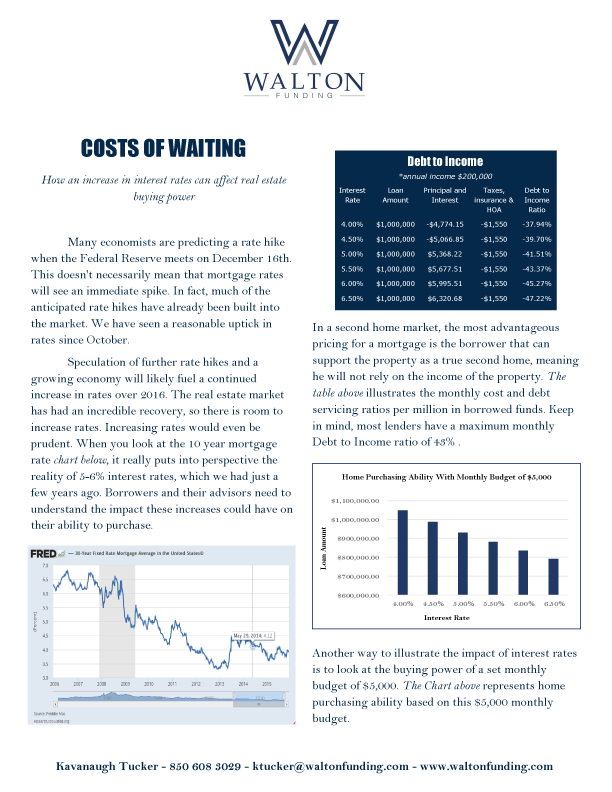 Ever wonder how changes in interest rates affect your purchase power with real estate? I sat down with Kav Tucker at Walton Funding to explore the topic to help you make a more informed decision when purchasing a beach home. Looking back a few years to 2006-2008 when interest rates were at 6.5% and property values in some areas of 30A reached a peak, many people were thinking, “only 6.5% interest is great.” Keep in mind, that historically, 6.5% IS indeed a great rate. Back in the late 1970’s and early 1980’s interest rates were above 20%. 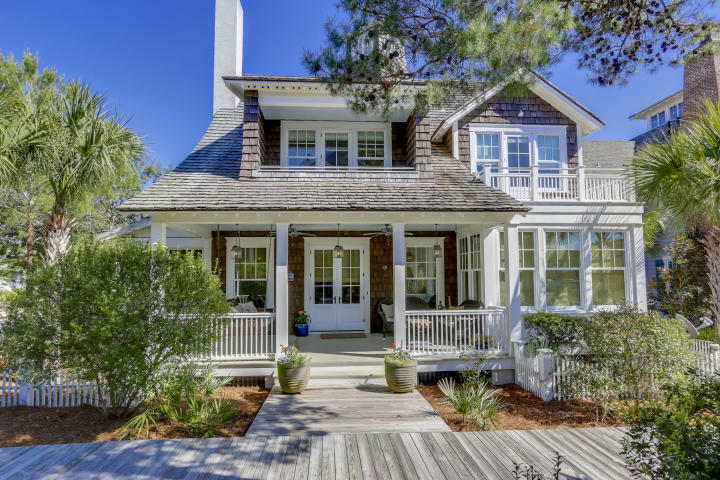 In some markets of 30A, today’s prices are still maybe 30-40% off the peak prices. Coupled with that, interest rates are about 30% lower than prices back in those days. What do lower prices and lower rates mean for your purchase power? I think the chart which Walton Funding created shows you that answer. For an easy example, let’s say you have a monthly budget of $5,000 to spend on interest and principle for your beach home. Back in the days of 6.5% interest rates, you would be able to carry a loan of around $800,000. With 20% down payment ($200,000), that would give you a $1,000,000 purchase price. Using that same $5,000 monthly budget with a 4% interest rate in today’s world (this is not a rate quote), you would be able to carry a loan of around $1,050,000, which would get you into a purchase price around $1,300,000 with 20% down payment ($260,000 down payment). So, you increase your down payment from $200,000 to $260,000 (increase of only $60,000), and you can buy into a property valued at $1,300,000 rather than $1,000,000. That is just from the savings of the cost of money, ie – interest. Add to that, lower home values than 2006, and you quickly see why the smart investors are buying today and inventory is decreasing. This decrease in inventory will trend prices higher, and if interest rates rise in the future, which they are predicted to do, your Purchase Power will decrease. Your money will not buy you as much home when prices increase and interest rates increase. There is talk of the Feds increasing rates .25% for the near term. Believe me, every quarter point of interest rate means money in, or money out, of your pocket depending on whether you lock in your rates today, or tomorrow. 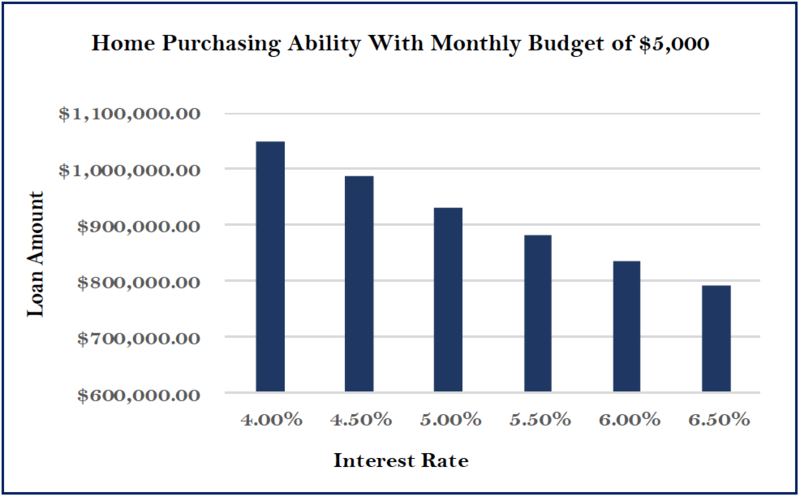 Purchase Power is noteworthy and as Kav says, there is a Cost of Waiting when interest rates increase. 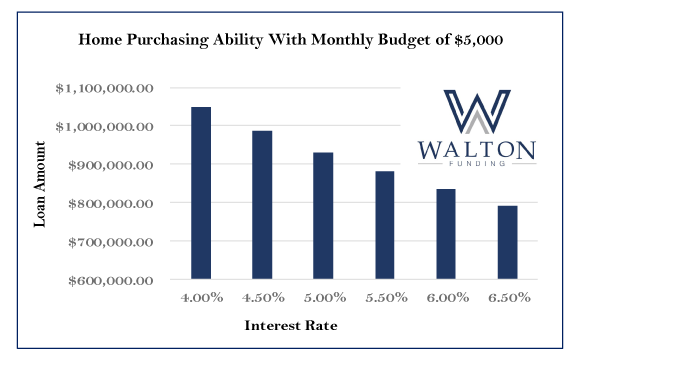 To learn more about today’s interest rates, apply for a loan, or speak to Kav Tucker at Walton Funding about how much home you can afford, visit WaltonFunding.com today. Be sure to read more about this subject from Kav Tucker below. 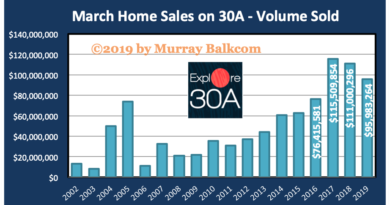 If you have any interest in learning more about the 30A real estate market or if you are interested in learning the value of your property, please contact Murray Balkcom, Luxury Realtor | Broker Associate. 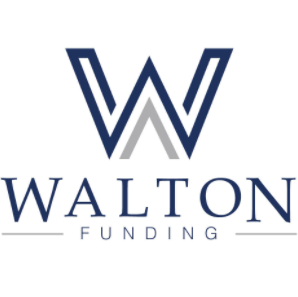 Walton Funding is not affiliated with Murray Balkcom, Luxury Realtor, Explore30A.com, or 30A Local Properties. 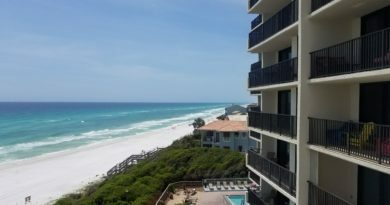 Where were you when the housing market rebounded in South Walton?